According to political theory, the primary function of the modern state is to protect its citizens—both from each other and from external enemies. Yet it is the states that essentially commit major forms of violence, such as genocides, ethnic cleansings, and large-scale massacres, against their own citizens. 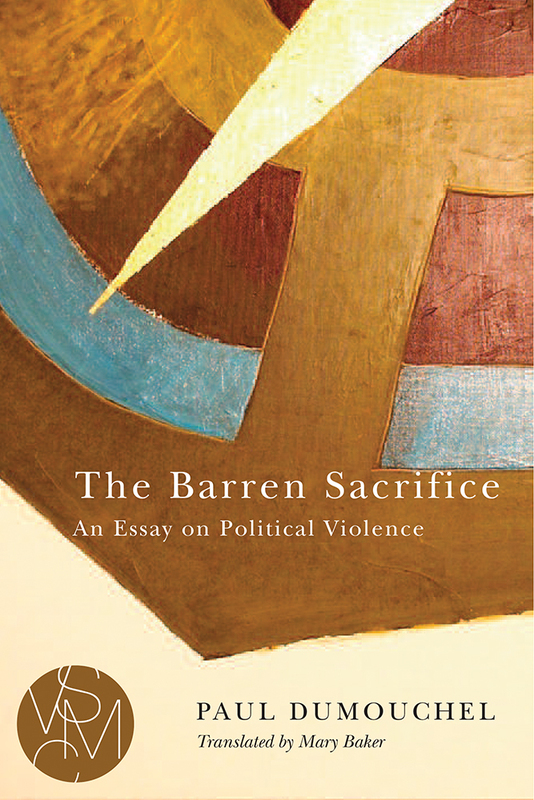 In this book Paul Dumouchel argues that this paradoxical reversal of the state’s primary function into violence against its own members is not a mere accident but an ever-present possibility that is inscribed in the structure of the modern state. Modern states need enemies to exist and to persist, not because they are essentially evil but because modern politics constitutes a violent means of protecting us against our own violence. If they cannot—if we cannot—find enemies outside the state, they will find them inside. However, this institution is today coming to an end, not in the sense that states are disappearing, but in the sense that they are increasingly failing to protect us from our own violence. That is why the violent sacrifices that they ask from us, in wars and even in times of peace, have now become barren. Paul Dumouchel is Professor of Philosophy at the Graduate School of Core Ethics and Frontier Sciences, Ritsumeikan University, Kyoto, Japan.